The renowned author Katherine Schwarzenegger was born into a family of the well-known artists. She is the youngest daughter of the popular actor Arnold Schwarzenegger and journalist wife Maria Shriver. Being a daughter of well-known public figures, Katherine eventually paved her own career as a writer. So far, the author has written three books including Rock What You've Got. Besides her flourishing career, she is also known for being the girlfriend of the Hollywood actor Chris Pratt. Katherine Schwarzenegger was born on 13 December 1989 in Los Angeles, California. Her birth name is Katherine Eunice Schwarzenegger. She is a daughter of popular Hollywood celebrity Arnold Schwarzenegger and his wife Maria Shriver, a journalist. She had a normal upbringing. Katherine has three younger siblings; two brothers Patrick Schwarzenegger and Christopher Schwarzenegger, and a sister Christina Schwarzenegger. 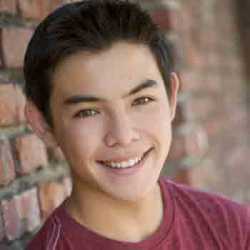 She has a half-brother named Joseph Baena from her father's side. Schwarzenegger attended the USC Annenberg School for Communication and Journalism at the University of Southern California. She graduated with a degree in Communication in the year 2012. Before her graduation, Katherine Schwarzenegger began her career as a writer by publishing her first book Rock What You've Got: Secrets to Loving Your Inner and Outer Beauty from Someone Who's Been There and Back in 2010. She was inspired to write the book from a campaign for real beauty. From the book, she inspires young people, especially women who have body insecurities to rock their natural body and feel great in it. The professional author published another book titled I Just Graduated . . . Now What? in the year 2014. She wrote the book after graduating from the University and the book compiles her personal experience and wisdom to inspire the recently graduated students. In 2017, Schwarzenegger wrote a children book entitled Maverick and Me. The book contains the story of the sick foster dog Maverick whom she later adopted. With the help of the book, her goal was to inspire children to be animal lover and rescuer. Other than her flourishing writing career, the gorgeous author is also earning money for promoting several brands on her Instagram account. Schwarzenegger is seen promoting several brands of clothing, jewelry, accessories, and others. Schwarzenegger is an accomplished writer and from her books, she is earning a handsome amount of money. However, her exact figure for net worth is under review. According to a reliable source, an average salary of an author in the United States in approx $55,420 per year. Katherine is probably earning the similar amount of money from her profession. Besides her professional career, she is the oldest daughter of the wealthy actor, Arnold Schwarzenegger who has an enormous net worth of $400 million. Her mother Maria Shriver also has a whopping net worth of $100 million. 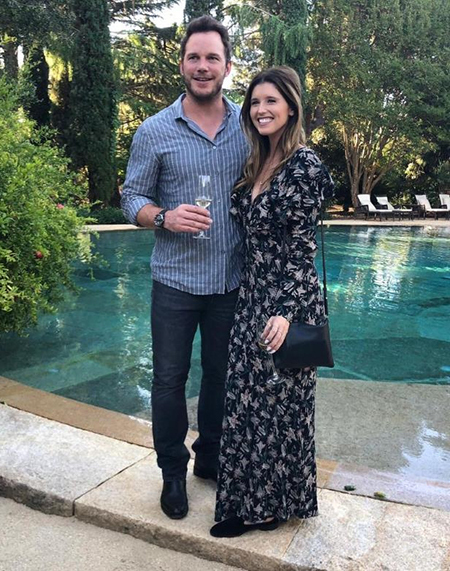 Katherine Schwarzenegger is currently dating the Hollywood superstar Chris Pratt. The couple officially confirmed their relationship in July 2018. It's been a few months since the couple started their affair, but the two form a strong relationship. It is reported that Schwarzenegger's mother Maria is the one to set the Katherine and Chris up. Schwarzenegger and Pratt are seen enjoying their love to the fullest, from a romantic dinner to a walk, the lovebirds aren't shy to show off their love for one another. From their frequent public appearance and the serious love relationship, the two are attracting the attention of media people for their possible engagement. According to some sources, Pratt is ready to pop up the question to his beautiful girlfriend Katherine. Looks like the actor and author will soon celebrate the good news with their fans. Schwarzenegger is very close to Pratt's son Jack Pratt from Chris' marriage with his actress wife, Anna Faris. Other than her romantic love life, the actress is actively involved in several animal-related charitable works. Katherine is an ambassador for the non-profit charitable organization The American Society for the Prevention of Cruelty to Animal (ASPCA). She is also engaged to another animal welfare organization named Best Friends Animal Society. Here's a video of Katherine Schwarzenegger's interview.